Do you want be part of one of the largest and most active chess clubs in Oregon? Join the Winterhaven Wizards Chess Club! Our focus is to have fun while learning problem solving, strategy and good sportsmanship. Tournament opportunities are available throughout the year, for those interested in competitive play. *In the Spring, we have a separate Chess Academy for K-1 students to learn the basics of the game. Club donation: $50 per student (scholarships available, please inquire). Donations are applied to team t-shirts, chess coaching materials and software, chess equipment, scholarships, awards, and a club party. 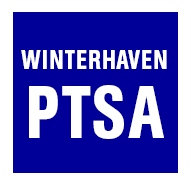 Donations accepted via PayPal (https://www.paypal.me/Winterhavenchessclub) or Check (Winterhaven PTSA). Please VOLUNTEER if you have the time: It's a big group, and we could really use some volunteers to be in the rooms helping to manage the kiddos. No chess experience necessary. Volunteering is open to any parents, family members, etc... Mentoring volunteers also welcome.